Do you want to see what’s possible when a vaping company extends the concept of miniaturization to the furthest possible extent? 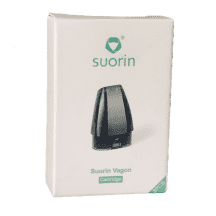 Look no further than Suorin pod vaping systems. The teardrop-shaped Suorin Drop and credit card-shaped Suorin Air are so small that you can close your entire hand around them. Yet, if you pair them with today’s modern nicotine salt e-liquids, they’re powerful enough to satisfy even committed long-term smokers. The perfect intersection of fashion and function — that’s why Suorin is the clear industry leader when it comes to pod vaping systems, and it’s really that simple. 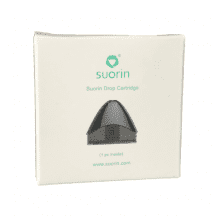 Suorin pods are special because you can fill them with the e-liquids of your choice, and they can conceivably last weeks at a time with careful use. Each one includes a new, fresh atomizer coil that gives you the same pure, clean flavor you experienced when your Suorin vaping device was brand new. That’s vaping at its finest — and when you try it, you’ll wonder why so many others go through the labor and inconvenience of building their own coils. 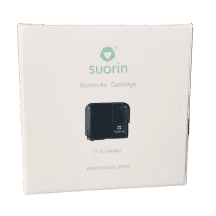 You’ve just found the page where you can buy Suorin pods online at the lowest price — and we never charge shipping on any retail order. 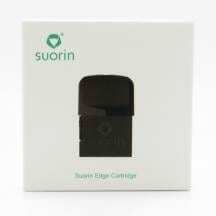 We sell nothing but authentic Suorin pods direct from the factory — we guarantee it.